All types of Woodburning and Multifuel Stoves. Terms and conditions apply. Email us your contact details and we will contact you shortly. 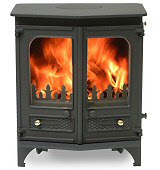 Log on to www.thestoveshop.ie to see a complete range of Stoves for sale. Specials to clear. €395 for Gumtree customers only. Delivery Nationwide. Pot Belly Stoves from €200.